Derek Dudzic is a master plumber and master oil tech with nearly 20 years in the trade. He and his wife, Kathleen, started Premium H2O in September of 2000. They reside in West Bath. 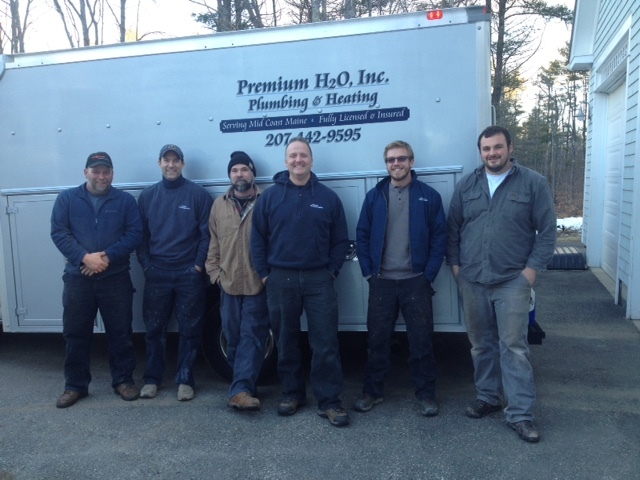 Derek planned on working by himself for the duration of his career, but realized that the hiring of well-qualified & dedicated techs would be a necessity to Premium H2O and the customers. We’re very fortunate to have such a strong team, aimed at providing quality customer service. Kenny Wright carries a master license in heating and gas. Having been in the trade for well over twenty years, Kenny has seen many dif ferent heating systems and diagnosed many problems. His knowledge of various equipment and researching of new products makes him an invaluable part of our team. Holding eighteen years of field experience, Bill Poulin joined our team in January of 2010 and is a valuable asset to our growing company. He is a master plumber and a master oil burner technician. He also carries a gas license with endorsements. Bill has a remarkably keen eye for details, but his best quality lies in how he astutely and efficiently finds solutions for even the most difficult problems. When not working, he enjoys hiking, biking, camping, and otherwise getting out into nature with his wife and three kids. Mark Merry studied electromechanical technology at CMCC, and spent many years working in the electrical field. He also studied building construction, and has been a great addition to the company since joining us in early 2011. 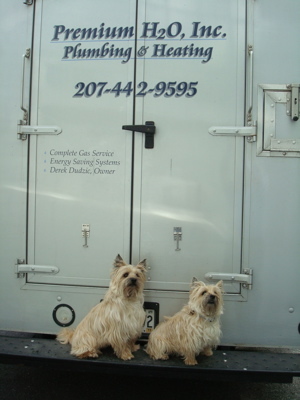 His extensive education prior to working with us has streamlined his ability to work on everything plumbing-heating-gas related, from new construction to remodeling. Jason Hunter joined Premium H2O in 2014. A licensed gas and oil technician, he also holds his EPA universal certification. He has over ten years of experience servicing and installing various heating equipment and gas systems. Prior to working in this field, Jason was a swimming pool technician and carpenter. Coming from this wide range of experiences, Jason meets all challenges with confidence and a positive attitude. Jason is married and has two boys in middle school and two dogs to keep him busy. Ryan Melcher has been working in the HVAC trade for 6+ years. He holds a Journeyman oil license, a gas license with multiple endorsements, and the EPA 608 universal certification for handling refridgerant. Committed to ever-expanding his knowledge of the field, Ryan has obtained many state licences and attended an impressive number of training seminars and classes. His willingness to learn plays hand-in-hand with his remarkable trouble-shooting skills and sharp attention to detail with new installations. Lina Oh is our happy administrative assistant. She helps Kathleen and Derek by keeping the phones answered, papers straight, and this website updated. Our pups, Blondie and Stella, enjoy meeting new people and playing outside.